Did you know that 32% of women in the UK had experienced symptoms of incontinence in the last 30 days (1)? In London, over a million women could be suffering right now and yet the subject is rarely spoken about, or only in quiet whispers in private places. That is a lot of women who are definitely NOT sure of their pelvic floor. There is so much shame attached to it and not much understanding of the therapy available but there is no need for this to be so widespread. Stress incontinence in not a normal part of menopause or aging and can easily be reversed and it’s not all about the kegels you know! In this video I talked to women’s health yoga teacher Claire Murphy about how these symptoms arise, especially during menopause and the postnatal periods, and she gave me some great practical tips on how to be sure of your pelvic floor. 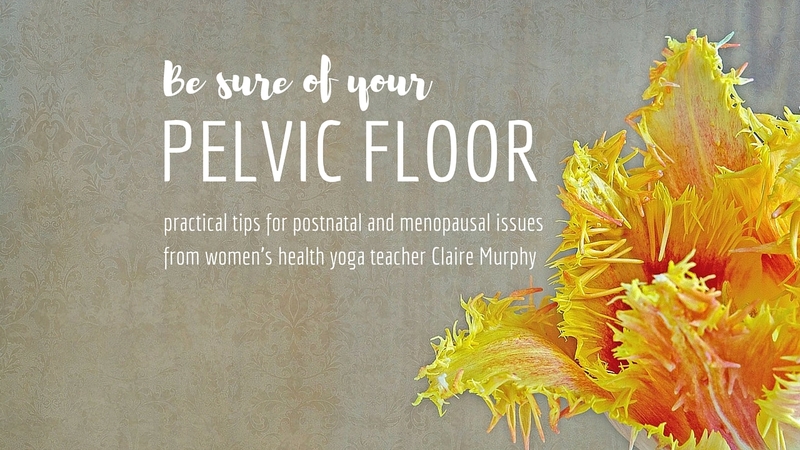 As well as the tips in the video, you can download a free MP3 recording of ‘Soften Your Pelvic Floor with Claire Murphy’ to give you a practice that will get you in touch with your pelvis. 5 Replies to "How To Be Sure Of Your Pelvic Floor"
Brilliant information and tips in this article and video: must needed by women everywhere! Very interesting and some insights there that I’ll definitely be considering myself going forward. Thanks for sharing Kate.